If you or a loved one is suffering from a medical condition that you believe may be the result of medical malpractice, contact our offices a free and confidential consultation. Medical malpractice is a serious issue. While most of us have little choice but to trust our healthcare providers to keep us safe, the reality is that doctors and hospitals make mistakes with alarming frequency. In fact, according to Johns Hopkins, medical malpractice is the third-leading cause of death in the United States, behind only heart disease and cancer. That is why our medical malpractice lawyers are second to none when helping clients get the compensation they deserve. At Rue & Ziffra Law Offices, we provide experienced, compassionate, and aggressive legal representation for victims of medical malpractice. With nine office locations in Volusia and Flagler Counties, we handle cases against hospitals, clinics, doctor’s offices, and other healthcare providers throughout the local area. Our Medical Malpractice Department focuses solely on representing individuals and families who are struggling to cope with the effects of medical mistakes; and with an experienced nurse on staff, we are able to quickly and thoroughly assess our clients’ claims for financial compensation. What is medical malpractice? Simply put, medical malpractice occurs whenever a healthcare provider fails to diagnose or treat a patient with the appropriate level of care. It can be a doctor, registered nurse, clinician, hospital administrator, or another healthcare provider that makes the mistake. But when that mistake results in care that falls below the customary medical standard of care, the patient (or their family) is entitled to seek financial compensation for any ensuing losses. This includes not only medical expenses for proper treatment – but for other related out-of-pocket expenses, loss of income, pain, and suffering, and other financial and non-financial losses. As a patient, it is not always easy to tell if your medical condition is the result of malpractice. While some mistakes may be obvious (such as failure to diagnose a broken bone), others may not be clear without a thorough understanding of the relevant medical and legal principles. When you contact us, we do not expect you to know that you have a claim. We expect you to have questions, and we are more than happy to provide the answers you need to make informed decisions. It is unfortunate that there are common examples of medical negligence. With adequate care and professionalism, medical mistakes simply should not happen. Yet, they do happen – and with alarming frequency – and the consequences are often devastating for patients and their families. Our attorneys bring over 180 years of combined legal experience to representing clients in many types of cases. Birth injuries resulting from medical malpractice include cerebral palsy, Erb’s palsy, shoulder dystocia, and a variety of other conditions that can have lifelong consequences for newborn children. These injuries frequently result from failure to perform an emergency C-section, failure to recognize fetal distress, and other delivery and childbirth failures. Emergency room errors can range from failure to diagnose traumatic injuries to mistakes during life-saving surgery. If you were sent home without a proper diagnosis, if you or a loved one suffered unnecessary and avoidable complications during surgery, or if you suspect any other form of emergency room negligence, we encourage you to contact us promptly for a free consultation. There is a reason that many doctors specialize in certain fields of medicine. As a physician, it simply is not possible to know everything about the symptoms, risks, and treatment options for all injuries and illnesses. If you received bad medical advice from a family physician, primary care doctor, emergency room doctor, or other generalist, you may have a claim for medical malpractice. Failure to diagnose and misdiagnosis are the most-common forms of medical malpractice. From failing to provide treatment to treating a medical condition that doesn’t exist, diagnostic errors can have severe consequences – and patients can experience harmful effects for years, if not decades, to come. For many medical diagnoses, regular monitoring and observance are critical for preventing patients’ conditions from going from bad to worse. If you or a loved one was sent home when you should have been committed to inpatient care, or if you were left ignored in a hospital bed, you may be entitled to a significant financial recovery. An accurate diagnosis is meaningless without proper treatment. Failure to treat is another common form of medical malpractice that can have serious and long-term repercussions for patients and their families. Hospital-acquired and post-surgical infections, including Methicillin-resistant Staphylococcus aureus (MRSA), are alarmingly common. Despite clearly-established protocols and best practices for protecting patients against infections, we regularly see cases where patients have contracted serious illnesses while under medical supervision. From mixing up patients’ medical records to understaffing emergency rooms, hospital administration errors can be nearly as dangerous as mistakes made by doctors or nurses. Administration errors are common in independent doctor’s offices, blood work clinics, and other medical facilities. Prescription errors carry obvious risks, and yet healthcare providers routinely fail to take adequate precautions to prevent potentially-life-threatening mistakes. Mixing up patients’ medications, filling the wrong prescription, overdosing and underdosing patients, and improperly administering anesthesia are all common forms of medical malpractice. 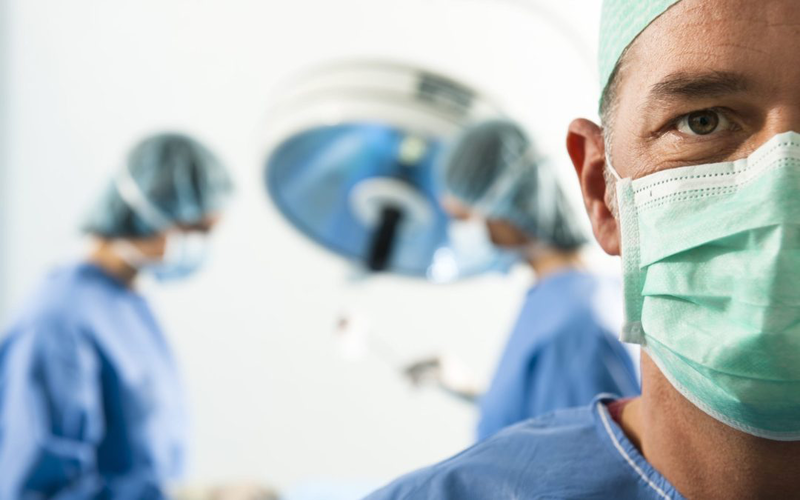 Surgical mistakes, from operating on the wrong side of the body to injuring a patient during surgery, account for a significant percentage of medical malpractice cases as well. While some surgical mistakes will be evident immediately, some patients will not discover these mistakes until days, months, or even years down the road. Q: What should I do if I suspect medical malpractice? If you suspect medical malpractice, you should seek medical treatment and legal representation promptly. You need to receive an accurate diagnosis and begin appropriate treatment promptly (for your health and to help protect your legal rights). And while we understand that it may be difficult to trust another medical provider, there are good doctors out there. When you contact us, we will be happy to refer you to a physician who has been treating our clients for years. Q: What mistakes do I need to avoid? Exercising too early, returning to work too soon, and making lifestyle choices that the insurance companies might be able to use against you. During your free initial consultation, we will walk you through everything you need to know in order to protect your right to maximum financial compensation. Q: Does Florida law limit the amount of compensation available for medical malpractice? While Section 766.188 of the Florida Statutes sets caps for non-economic damages (e.g., pain and suffering) in medical malpractice cases, the Florida Supreme Court declared these caps to be unconstitutional in June 2017. Q: What is involved in filing a medical malpractice claim in Florida? Completion of a 90-day pre-suit investigation period, during which the parties will exchange information regarding their respective positions on the patient’s claims. During or at the end of this 90-day period, the health care provider accused of malpractice can either (i) make a settlement offer, (ii) admit liability and offer to arbitrate the award of damages, or (iii) reject the claim. If the provider rejects the claim, then the patient can take his or her case to court. For more information about how our attorneys can help you recover just compensation for medical malpractice, please contact us to arrange your free initial consultation. You can reach us 24/7, so call (386) 788-7700 or submit your case online now.